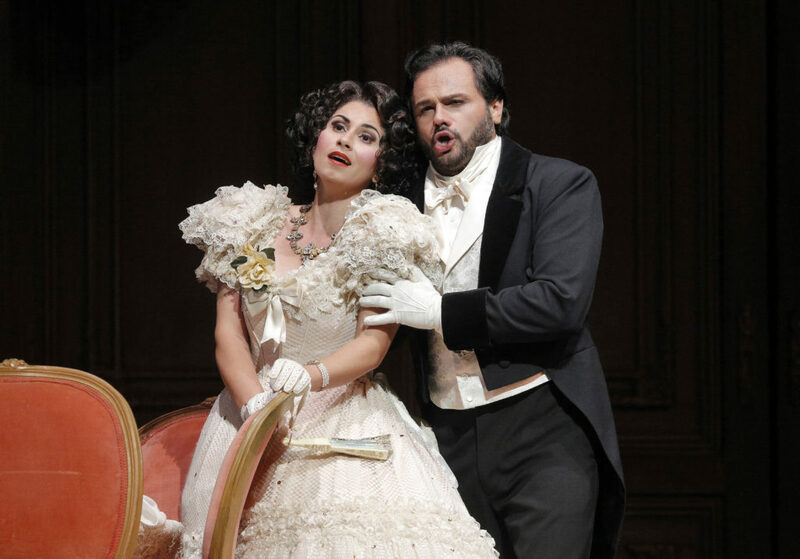 Three down of five, the balance sheet is decidedly in positive territory, spurred especially by a musically-vocally superb “Elektra,” along with spiffed-up revivals of “Turandot” (David Hockney’s grand but aged sets shining bright, Ian Falconer’s apparently deep-cleaned costumes fabulous), and now, on Saturday, “Traviata” to the fore. In the pit, under the direction of the company’s outgoing music director, Nicola Luisotti, the SFO Orchestra — so brilliant in “Elektra” — provided on opening night a propulsive accompaniment to “Traviata,” barely pulling back in such traditionally quiet passages as the preludes to the first and third acts. As is usual with Luisotti, the orchestra rarely “stepped on” the singers. When it came to Ian Robertson’s SFO Chorus, on fire all evening, even without the conductor’s reins, they just could not be attenuated — a good thing. 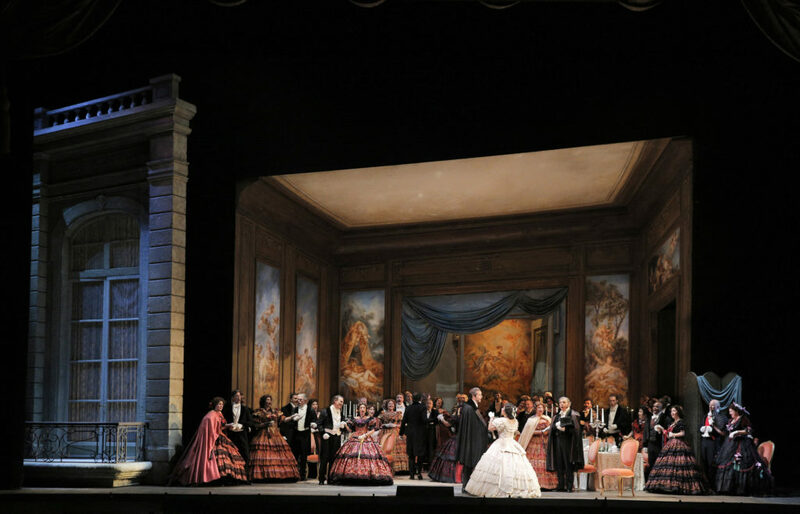 There were debuts in three leading roles, and the focus of attention was on the title role, sung by Romanian soprano Aurelia Florian. She did something theoretically impossible, getting a second chance to make a first impression. Her Violetta in the beginning — and she pretty much sings through the first act — was problematic. With a big voice, a powerful projection, and scant attention to diction, Florian overwhelmed with force, short on beauty of tone, not quite making connection with the listener. But then, in the action-packed second act (two scenes with a brief pause), Florian did better, especially in lyrical passages, and by the third act, she overcame that less-than-favorable first impression. 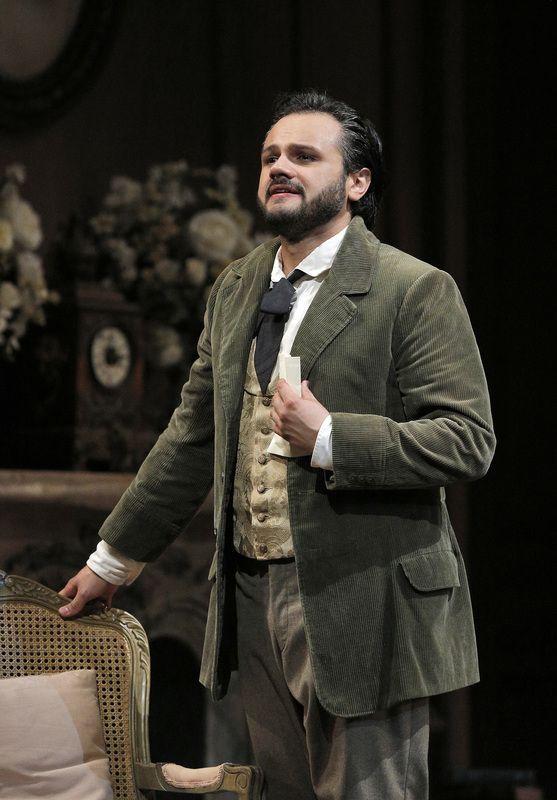 Brazilian tenor Atalla Ayan’s debut as Alfredo was more even, but it too improved along the evening. It’s not a big voice, but adequate for the role, and it’s quite beautiful. Acting is elementary and sufficient, at times hitting high notes of its own. The Germont is Polish baritone Artur Rucinski, with the most consistent performance on opening night. The voice is broad and warm, his stage presence is impressive throughout. Others in the cast are current or former Adler Fellows: Renée Rapier as Flora, Amitai Pati as Gastone, Philip Skinner as Baron Douphol, Anthony Reed as Doctor Grenvil, Andrew G. Manea as Marquis d’Obigny, Amina Edris as Annina. Former San Francisco Ballet principal dancer Lorena Feijoo is making her SFO debut in Carola Zertuche’s choreography.